It has been many years since we started working with two brands of hairdressing products: Kérastase and American Crew. We have been checking results and effectiveness of each and every line of these brands for the last several years. Because of the wide range of products in these prestigious brands, we consider that we must have a very specific knowledge of all of them. This is only possible when employing them day by day at work. It is a must for us to open and check every new product arriving at our hairdressing salon. By doing this, we evaluate its packing, texture, aroma, and, most importantly, its result and effectiveness. Based on the experience and personalized service that we offer to our clients in every treatment, we like calling ourselves “expert advisors”. The newest brand for men on the market. Its aromas and design have been created for men. There is a wide range of finishing hair products, such as waxes, gels and creams. Their shaving products are great too, and there are many of them for this purpose.  Read more about this section on eliveli men barbershop. Bath gels, shampoos and conditioners complete the list of products offered by AMERICAN CREW, hairdressing and beauty products for men.